All you will smell is fresh cut grass. This sounds like a godsend for asthma sufferers and those who want to make a personal statement in preventing smog and global warming. 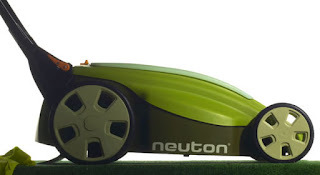 The Neuton Mower runs on battery power. It is so quiet you can hear the birds singing while you mow. The Maryland Public Service Commission approved a 50% electricity rate increaese for the 1.1 million Baltimore Gas & Electric residential customers that went into effect on June 1, 2007. Dominion Virgina Power is increasing rates for its customers 18 percent beginning on July 1, 2008. Rates for commercial customers will rise 20 to 44 percent depending on usage. The Virginia State Corporation Commission approved the Dominion rate increases. Although the rate increases are mostly a result of botched deregulation (retail rates were frozen for about a decade in the hope that competition would take hold in the states - - it did not). Yet some are questioning the 'stranded cost' relief the utilities received that in the case of Dominion equals between $1 and $2 billion. AAEA is supporting The Renewable Energy and Job Creation Act of 2008 (H.R. 6049), which extends for another eight years the investment tax credit for installing solar energy, extends for one year the production tax credit for producing wind power and for three years the credits for geothermal, wave energy and other renewables. 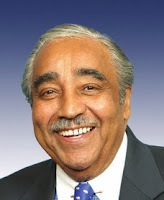 The bill is sponsored by House Ways and Means Committee Chairman Charles Rangel (D-NY), right, and passed in the House of Representatives on May 21, 2008 with 263 Ayes, 160 Nays, 12 Present/Not Voting. Unfortunately, the bill has stalled in the Senate being unable to invoke cloture: Jun 10, 2008 failed a cloture motion, preventing consideration of the bill with 50 Ayes, 44 Nays, 6 Present/Not Voting. Jun 17, 2008 failed a cloture motion, preventing consideration of the bill with 52 Ayes, 44 Nays, 4 Present/Not Voting. Carolyn Barnes, left, contacted us about her green products. Many of you might be familiar with the melaluca brand of products (catalog). 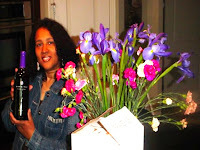 In addition to being a wellness coach, Carolyn conducts a healthy home tour. The amazing fact is, the most common substance to poison children is a household cleaner. Many of these products are considered safe! Think of your own home - you probably have dozens of bottles of cleaners, containing hundreds of chemicals. Could an accident happen in your home? Find out today by taking a Tour of Healthy House. Carolyn Barnes is pictured above at left holding a bottle of MonaVie, made from the legendary Acai Berry, is one of the few Brazilian exports that can directly protect the mighty Amazon rainforest itself. New Leaf Paper LLC - - a maker of recycled paper. Eco-Products Inc - - a Boulder, Colorado company that makes comnpostable dinnerware. They use a corn-based polymer produces by NatureWorks LLC of Minnetonka, Minnesota, a unit of Cargill & Teijin Ltd. of Japan. TerraCycle - - a maker of fertilizer from worm castings is marketing an artificial fire log for winter chimney use that has soy was as a key component. Annie's Inc - - a Napa, California-based maker of organic macaroni and cheese, pizza and other foods. We agree with both Supreme Court decisions. Exxon had a horrible accident in Alaska trying to service America's, as President George Bush calls it, "oil addiction," and spent a couple billion on trying to clean up the oily mess it created. But America cannot have it both ways. We cannot want to use at least 20 million barrels of oil every single day, yet demonize the oil industry for doing what it takes to service this very important public need. The court ruled 5-3 to slash the $2.5 billion in punitive damages in the Exxon Valdez disaster to $500 million on June 25. Justice Samuel Alito recused himself in the case because he owns Exxon stock. In 1989, the supertanker dumped 11 million gallons of crude oil into Alaska's Prince William Sound, fouling 1,200 miles of coastline. 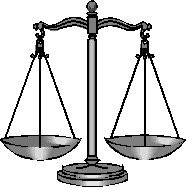 A jury decided in 1994 that Exxon should pay $5 billion in punitive damages. In 2006, a federal appeals court cut that verdict in half. Exxon has spent $3.4 billion to clean up the spill and compensate Native Alaskans, landowners and commercial fishermen. Nearly 33,000 plaintiffs are in line to share in the award, an average of about $15,000 a person. We agree with this ruling because law abiding citizens of the District of Columbia and other violence prone cities should be able to protect themselves in their homes. The gun ban has not reduced gun violence in the District of Columbia and Black-on-Black murder with guns is the most immediate environmental threat to youth all over America. McDonald believes that it’s important to reach the African American community in relatable ways. “I’m trying to break the stigma and stereotypes of what an environmentalist is, and repackage it to reach our community,” he says. The organization also reaches its target audience through various programs. McDonald hopes that the group will hit home with African Americans when it comes to issues that they can relate to, one being asthma. “Black people have the power to influence policy issues just as long as they are educated and aware of the issues.” “Our communities are often the path of least resistance for waste,” he explains. 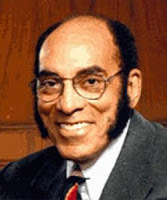 McDonald encourages African Americans to voice their opinions, as there is currently no national legislation to protect communities from such toxic waste. The Nuclear Regulatory Commission (NRC) held two public environmental scoping meetings at the Port Gibson City Hall in Port Gibson, Mississippi on June 19. The meetings are part of NRC's review of an application submitted by Entergy Operations Inc (EOI) for a combined license (COL) for construction and operation of a new nuclear power plant at it Grand Gulf Nuclear Station (GGNS) site in Claiborne County, Mississippi. The first meeting was held at 1 p.m. and the second meeting was held at 7 p.m. The NRC presented an overview of the COL environmental review process and described how the process will be implemented for the review of the GGNS COL application. AAEA participated in the meetings (see videos below). 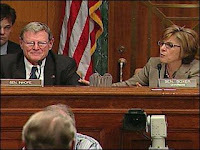 Global warming skeptic Senator James Inhofe delivered a knockout blow to Senate Environmental and Public Works Committee Chairwoman Barbara Boxer. Inhofe turned the global warming bill into a 'tax' by describing it as another way to raise energy prices. It worked. Although nobody really expected global warming legislation to pass this year, the 'Big Mo' was building until high gasoline and electricity prices scared the public back into its myopia. Senator Boxer did get 48 of the 60 votes needed to pass the Lieberman-Warner legislation. AAEA supported the bill and generally supports climate change legislation. We do no support auctioning the offsets. That increases the price tag. The second heavyweight global warming fight will see a new president in office and a new energy bill will probably be in play. But unless energy prices start moving south, prospects for any climate change legislation will be dim. The Ali-Frazier contest still favors Ali (Boxer as Ali and Inhofe as Frazier). Experts speculate that anywhere from 30 - 50 percent of the $4 per gallon gasoline is due to, well, speculators. According to the Commodity Futures Trading Commission (CTFC), Wall Street dealers, hedge funds, pension funds and other speculators hold 70 percent of the oil futures traded in New York. Such speculation to generate short term profits is driving crude oil up towards $140 per barrel and gasoline to $4 per gallon and more. These speculators are not under tha same strict regulations imposed on other financial investors. Moreover, global speculation is also driving the prices up. The CTFC simply is not capable of controlling this speculation. People are becoming more aware of this situation as reporting on it educates the public. Although some people get uneasy when we start taling about 'black' stuff, the fact is that Blacks do not own any part of the energy infrastructure in the United States. Nigerian-born Kase Lawall, with his offshore oil and gas drilling company, is the exception but you know what we mean. Blacks have only been out in the marketplace for about 40 years, so we have some catching up to do. Exxon Mobil just announced that it plans to sell its 2,200 U.S. gas stations. This is a prime opportunity for African Americans to get in the oil business at the retail level. We hope Oprah Winfrey, Robert Johnson, Sheilia Johnson, and Victor MacFarlane are listening. Exxon Mobil will probably sell the other 10,000 stations that carry Exxon Mobil signs to the distributors that already own and operate those stations. It is projected that the stations will sell for between $500,000 and $2 million. Gas stations clear a few cents profits on each gallon of gas sold. Evidently, the $40 billion from the gasoline stations is not profitable enough for Exxon Mobil when they made $400 billion last year. Regardless, this is an excellent opportunity for a black entrepreneur to get into the oil and gas business. We bet $40 billion is an attractive income figure too. I first met Robert Boone, right, in 1989 at the Interstate Commission for Potomac River Basin (ICPRB) where I was their first education coordinator and Boone was the second for the Anacostia River Watershed. 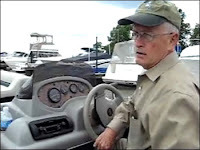 Boone went on to become a legend in Anacostia River protection. Boone and I walked and boated tributaries to the Anacostia River together. We partnered for river clean ups for Earth Day. Boone absolutely loved the Anacostia River and it loved him back. He cleared countless tons of garbage from that river and conducted countless land and water tours. One thing I always liked about Robert is that although we sometimes disagreed on local issues, he was never disagreeable with me. And anybody who knows Boone knows that he can be VERY disagreeable. Thanks Bob. For that and much more I consider you an old friend and colleague. AAEA President Norris McDonald, right, described our support for the soccer stadium plan in The Washington Post Outlook section article, "A Stadium Plan That Will Pay Off." In addition to expressing support for the soccer stadium, McDonald also recommended a tunnel for Interstate 295 along the riverfront so that locals can have easy access to the park area, soccer stadium and the Anacostia River. He also recommended environmentally friendly transit-oriented development around the Anacostia Metro Station, which is near the proposed soccer stadium site. adversity and opportunity, true leaders stand out from the rest. Leaders don't chase fortune and fame; they serve missions and are able to articulate a future for that mission in clear, simple language. They understand that wealth and power are not primary objectives, but inevitable byproducts of fulfilling a need and making a consistent, positive investment in achieving a larger goal. Leaders have vision." 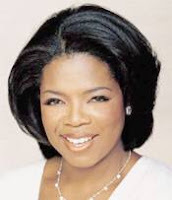 "Few people in the world enjoy a greater combination of fame, fortune, social status, and wealth than the inimitable Oprah Winfrey, CEO of Chicago-based Harpo Inc, our 2008 Company of the Year, for all the ways she is celebrated--as a dominant media force; an extraordinary producer for television, stage, and screen; a world class philanthropist--she is rarely celebrated as one of the most consistently excellent business leaders of our generation. In fact, Winfrey hardly sees herself that way. Yet the results speak for themselves, as Harpo continues to spin gold from nearly every media venture and partnership it undertakes, from O: The Oprah Magazine to the Oprah & Friends XM satellite radio channel to the television juggernaut that is The Oprah Winfrey Show." 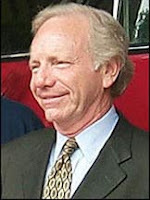 "Yet, the $345 million in revenues generated by Harpo last year is almost beside the point. As counterintuitive as it may seem to commony held notions of leadership in business, Winfrey is far better known for enriching others--giving away automobiles to her studio audience, building schools for girls in South Africa--than she is for achieving wealth for herself." We love Black Enterprise at AAEA and have enjoyed its information for decades. BE is second to none and provides a valuable service to the African American community and the general public. The 36th BE 100s covers four categories in listing the top black businesses: 1) Industrial, 2) Auto Dealerships, 3) Advertising and 4) Financial Services. In 2007 the Industrial/Service sector had total sales of $29 billion. Of particular interest to us in this sector are: 1) CAMAC International Corp (Kase L. Lawal of Houston, Texas), which provides crude oil, gas exploration, productiona and trading. 2) NDR Energy Group LLC (Rickey Hart of Charlotte, NC), which provides sales and transportation of natural gas and energy consulting. 3) Hightowers Petroleum (Stephen L. Hightower of Franklin, OH), which is a supplier of fuel and petroleum products. 4) New Technology Steel LLC (Sarah J. Bates of Detroit, MI), which is a steel processor. 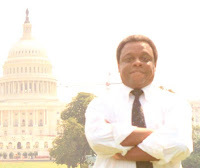 5) MPS Group Inc (Charlie Williams of Detroit, MI), which provides industrial and environmental services. 6) SoBran Inc (Amos L. Otis of Dayton, OH), which provides biomedical and environmental research, technical support. In 2007 the Auto Dealer sector had total sales of $9 billion. We believe that these dealerships could lead the way in selling plug-in fuel cell hybrid electric vehicles to usher in cars that produce no smog forming or greenhouse forming gases and do not use petroleum (although we like petroleum). In 2007 the Advertising Agency sector had total billiings of $2.1 billion. In 2007 the Financial Services sector Banks had $6 billion in assets, $500 million in capital, $5 brillion, and loans of $4.1 brillion. Asset Managers had $84 billion. Investment Banks had Total Managed Issues of $821 billion. Private Equity Firms had Capital Under Management of $28 billion. 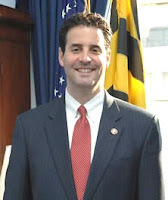 Congressman John Sarbanes - "No Child Left Inside"
At a time when the world is confronting issues such as the finite supply of fossil fuels, global warming, and many other important environmental problems, organizations such as yours have helped to raise public awareness and taken steps to improve the environment. Our nation's future relies on a well-educated public to be wise stewards of the environment that sustains us, our families and communities, and future generations. Environmental education in our schools can help us as individuals make the complex, conceptual connections between economic prosperity, benefits to society, environmental health, and our own well being. "No Child Left Inside" has become a national movement to establish environmental education programs that promote healthier children and communities and to inspire the next generation of environmentally conscious citizens. In line with this movement, I am the author of H.R. 3036, the No Child Left Inside Bill, which would establish environmental education programs that promote healthier children and communities. I am deeply committed to both improving education in our nation's public schools and to protecting our environment. H.R. 3036 combines those goals by: creating a new environmental education grant program, providing teacher training for environmental education, and including environmental education as an authorized activity under the Fund for the Improvement of Education. H.R. 3036 also requires states that participate in the environmental education grant program to develop a K-12 plan to ensure high school graduates are environmentally literate. On April 22nd, the Subcommittee on Early Childhood, Elementary, and Secondary Education held a field hearing at the Patuxent Wildlife Refuge in order to showcase the importance of this legislation. As an organization committed to improving the environment for future generations, I would like to invite you to join the No Child Left Inside Coalition [We joined]. For more information please visit our coalition website. I look forward to working with you and the other 270 member organizations to ensure our children are ready to address the environmental issues of the future. P.S. I want to keep in touch with you. If you'd like to sign up for my newsletter, please do so by visiting my website . Thanks! The Society of Environmental Journalists (SEJ) is holding its 18th Annual Conference from October 15-19, 2008. The conference is being hosted by Virginia Tech at The Hotel Roanoke and the theme is: "From the Appalachians to the Oceans." SEJ is bringing together a diverse selection of tours and concurrent sessions, including one the biggest and best collection of computer lab sessions ever. Energy and climate will be a major focus, with a special emphasis on coal. They will hear from some of the top writers, scientists, industry speakers and environmentalists discussing mountaintop removal, water contamination, sludge pond hazards, air pollution and carbon sequestration. More than 800 people attended last year's conference in Stanford, California, which generated immediate stories and sources for our members. AAEA is promoting a very important amendment to the Lieberman-Warner Climate Security Act of 2008 (S. 3036), the global warming bill being debated in the U.S. Senate right now. Many believe that climate change legislation and regulation will need to address environmental justice concerns related to the perception that emission trading programs cause disproportionate pollution from older, dirtier plants to negatively impact low-income and minority communities. There is also widespread belief that global warming and climate change will disproportionately affect low-income and minority communities. AAEA is recommending an Environmental Justice Allowance Reserve (EJAR) to address the racial 'Hot Spots' issue. These allowances would come from a special reserve, similar to the current Acid Rain Program Renewable Energy and Conservation Reserve, when the initial allowance allocation is made. They would be awarded to utilities, automakers and others that undertake environmental justice practices and programs designed to mitigate or prevent price shocks, increase the installation of pollution control equipment, promote community education and enhance health-related activities. Utilities and automakers could choose to work with organizations and businesses that conduct environmental justice activities related to climate change mitigation and reductions in other emissions, including sulfur dioxide, nitrogen oxides and mercury. 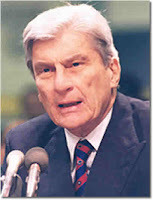 Update June 6: Cloture (antifilibuster) vote failed 48 to 36 so new legislation will not be considered until 2009. America's Climate Security Act of 2007 - Requires the Administrator of the Environmental Protection Agency (EPA) to establish: (1) a greenhouse gas (GHG) registry; and (2) a GHG emission allowance transfer system for covered facilities, including specified facilities within the electric power and industrial sectors and facilities that produce or entities that import petroleum- or coal- based transportation fuel or chemicals. Sets forth emission allowances for 2012-2050, with a declining cap on GHGs. Provides for selling, exchanging, transferring, submitting, retiring, or borrowing emission allowances. Establishes: (1) a domestic offset program to sequester GHGs in agriculture and forests; and (2) the Bonus Allowance Account. Establishes the Carbon Market Efficiency Board, which shall observe and report on the national GHG emission market and provide cost relief measures if it determines that the market poses significant harm to the U.S. economy. Provides for the distribution of emission allowances, including initially giving allowances to: (1) specified owners and operators of covered facilities; (2) states; (3) load-serving entities that deliver electricity to retail consumers; (4) the Secretary of Agriculture to reduce GHG emissions in the agriculture and forestry sectors; (5) international forest protection activities; and (6) the Emission Allowance Account for covered facilities in the electric power and industrial sectors. Establishes in the Treasury and provides for allocations from: (1) the Energy Assistance Fund; (2) the Climate Change Worker Training Fund; (3) the Adaptation Fund; and (4) the Climate Change and National Security Fund. Establishes the Climate Change Credit Corporation to auction emission allowances. Provides for the use of auction proceeds, including for a zero- or low-carbon energy technologies program, an advanced coal and sequestration technologies program, incentives for production of fuel from cellulosic biomass, and an advanced technology vehicles manufacturing incentive program. Requires the President to establish an interagency group to determine whether foreign countries have addressed GHGs. Directs the Administrator to establish an international reserve allowance program. Requires the proceeds from sales of such allowances to be used to mitigate the negative impacts of climate change on other countries' disadvantaged communities. Requires the Secretary of Energy to study the feasibility of the construction of: (1) pipelines for the transportation of carbon dioxide for sequestration or enhanced oil recovery; and (2) geological carbon dioxide sequestration facilities. Directs the Administrator to establish a task force to study the cost implications of potential federal assumption of liability with respect to closed geological storage sites. Authorizes the President to waive this Act's requirements in a national security emergency. Requires the Securities and Exchange Commission (SEC) to direct securities issuers to inform investors of material risks related to climate change. (4) Over 40 years of experience in the United States with commercial nuclear power plants has shown that nuclear reactors can be operated safely. It is the Sense of the Senate that a portion of funds, as determined necessary by the appropriate committees of jurisdiction, deposited into the "Low- and Zero-Carbon Electricity Technology Fund" pursuant to section 914 should be used to fund a tax policy that will incentivize the manufacturing of nuclear project components in the United States.